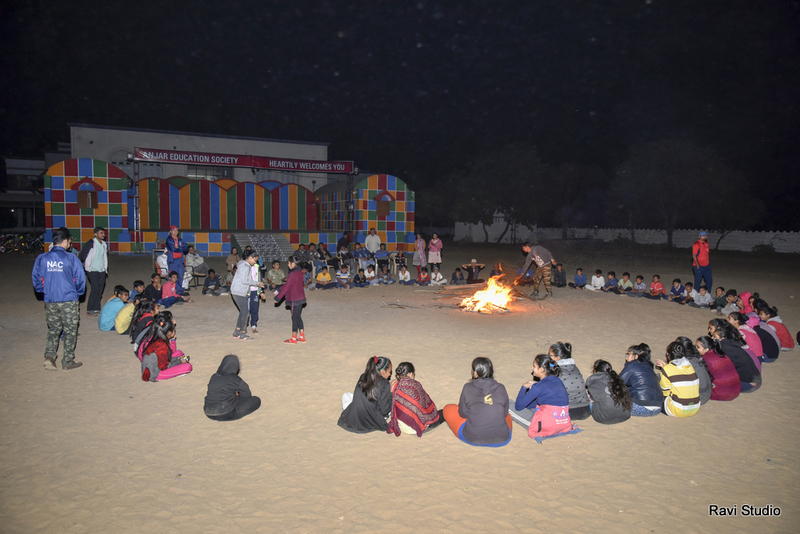 A 3 days and 2 nights Trekking Camp from 11th to 13th January 2019 was organized by Anjar Education Society , in collaboration with Nature and Adventure Club .64 students (33 boys+ 27 girls) of class- 6 to 9th participated in the camp along with the dedicated teachers team . Nature And adventure camp was designed to help kids learn something challenging from the outdoors. We hope to tickle their imagination and infuse positive attitude by helping them live the uncertain, and accomplish the impossible. Our activities keep them excited & engaged, while they breathe fresh air, climb wall, and explore and absorb from nature all in a fun way with the help of friendly, well trained and expert professionals from Nature and adventure Club (NAC) members. 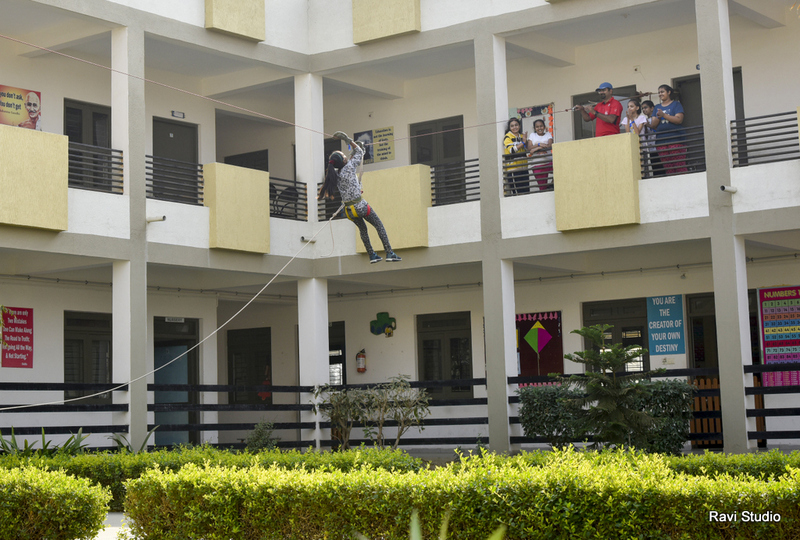 This kind of camp in school Creating the sense of responsibility, patience and tolerance in the students who can create the same in society in general. Giving Students the opportunities to explore nature and be part of it. 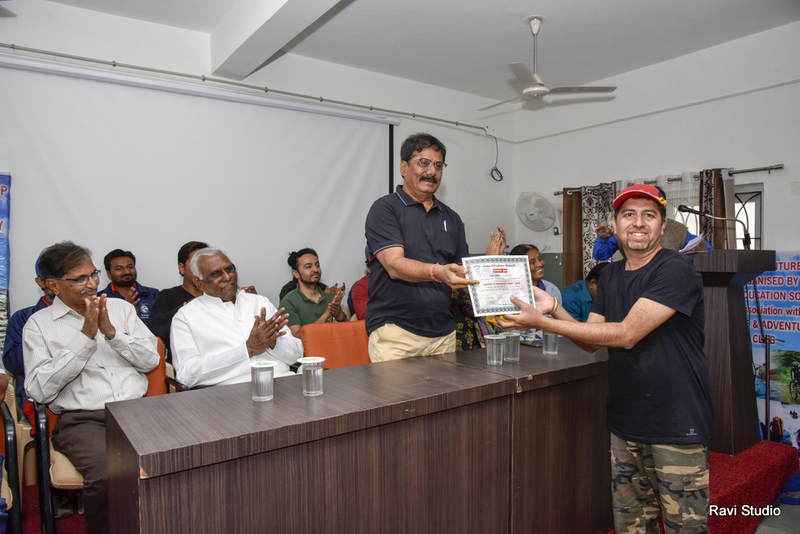 Undertaking hard treks gives boost to the moral, and will-power of the students which goes a long way in helping them face hard times of their life with patience and perseverance. 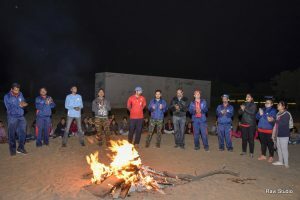 Enhancing the skills of the students through Nature and adventure camp by learning different activities during their treks and the skill thus learned/developed can be applied in their day-to-day life. on the first day the students were assembled in the conference hall and were briefed about the rules and regulations of the camp. 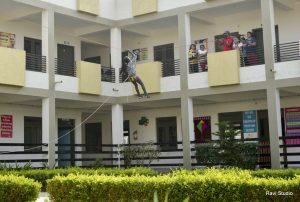 The students got ready for a light trek and team building games .The students were very excited and enjoyed the team building games. 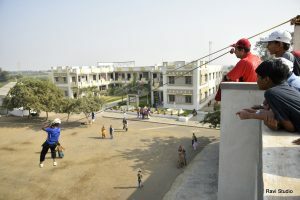 The students were allowed to rest for half an hour followed by the evening tea. 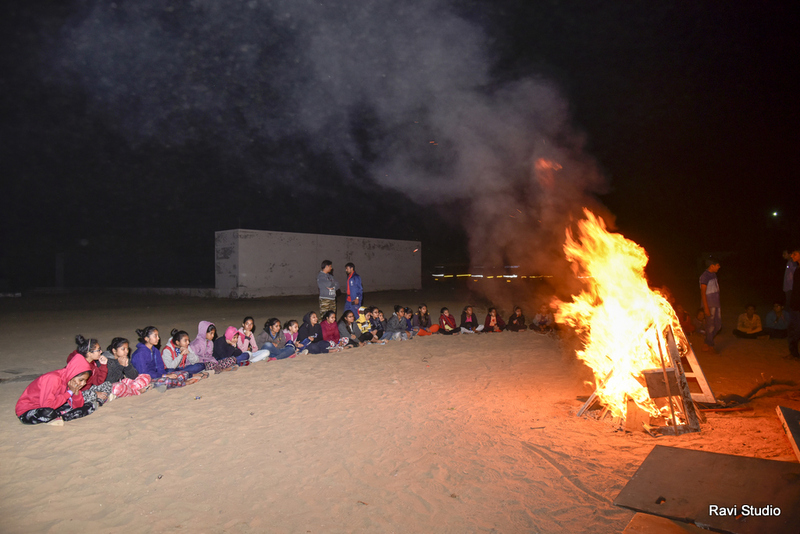 After tea, the students prepared for the Camp fire activities which was to be performed in AES main Campus. the dinner was served to the students and staff at 8:45 pm. 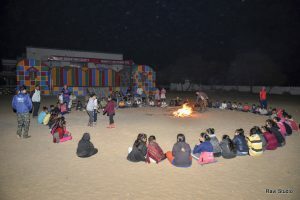 The camp fire started at 9:30 pm in which few students performed. Campers were overjoyed, sang songs.. “Zingel Belva..,,Jaipur na Raja..”. and many more. The audience included the students and the staff and NAC Members. 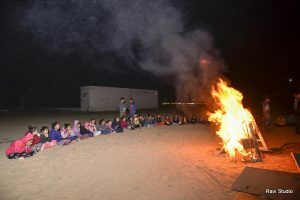 During camp fire students were briefed about the next day’s program and were let off to their respective rooms for sleep. Goverdhan dham mandir at 6:00 pm. 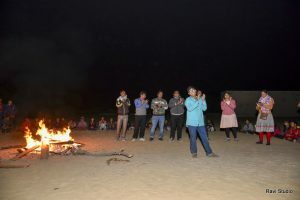 After a brief instruction and storey time students enjoyed night trekking without any kind of fear. So great was excitement that they overcome the unfounded fear of darkness and unknown place. After the night trekking students were assembled in the conference hall for the dinner . 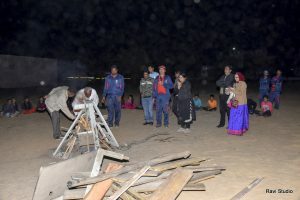 A fire camp was organized after the dinner at 9:30 pm. The chief guest of the camp fire was the trustee Shree Prafulbhai Pandya and Mr. Kiran Shah. 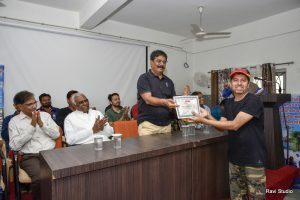 The program was concluded by the speech of chief guest, who appreciated the program and encouraged the students for such program. students enjoyed special birth day treat – Ice cream party by Dr. Farid Khoja along with ‘chikki” and “til ke laddu”. 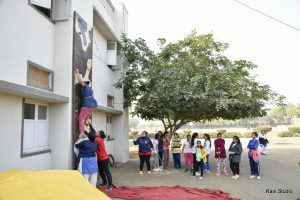 Inspite of the fact that the students were very much exhausted, but being enthusiastic they woke up early in the morning for the activities of the concluding day. The day started as usual with the morning assembly, morning walk and the breakfast. 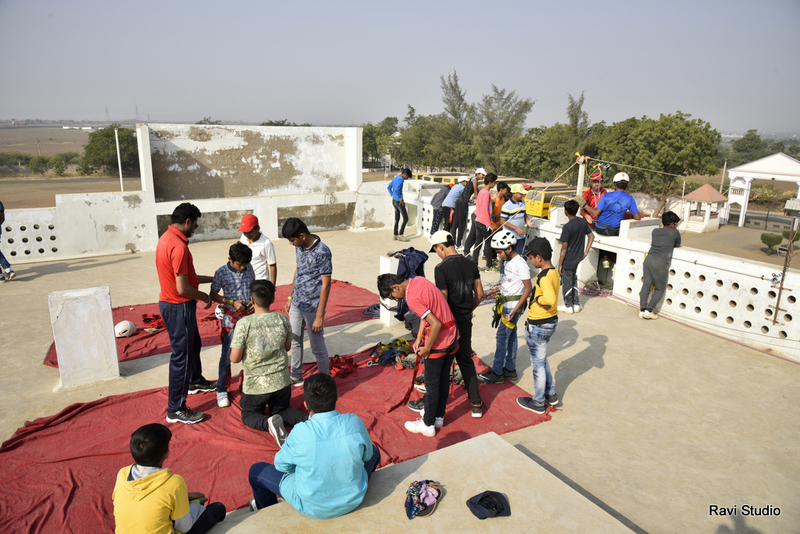 After breakfast, the students went to the adventures activity building where they were informed about the various adventure sports and the tools and equipments needed for the same. 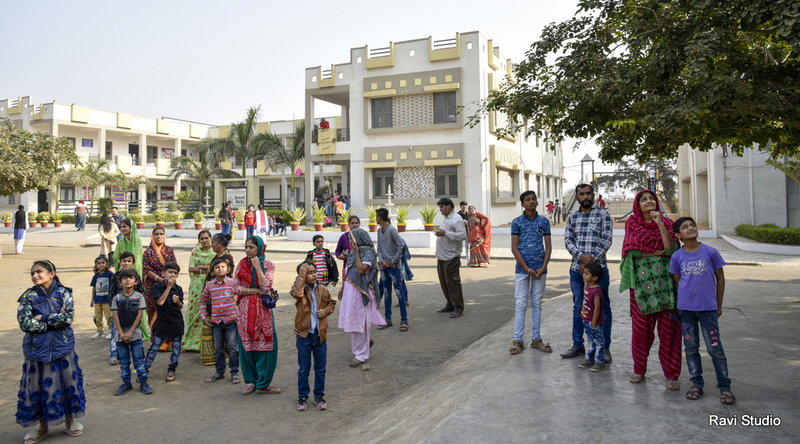 The students were very excited and were not willing to leave for the backward journey to their homes. lastly students awarded with certificate and share their opinion and positive response about nature adventure camp. It is worth to mention here that the staff of AES and NAC Members appreciated the students for their overall discipline and cleanliness. The students were again assembled at 2:00 pm and for lunch. After lunch, the students were instructed for packaging their belongings and prepare for the return to home journey. Thank you once again to NAC members ,participants, parents and teachers for their whole hearted support throughout the Nature Adventure Camp. 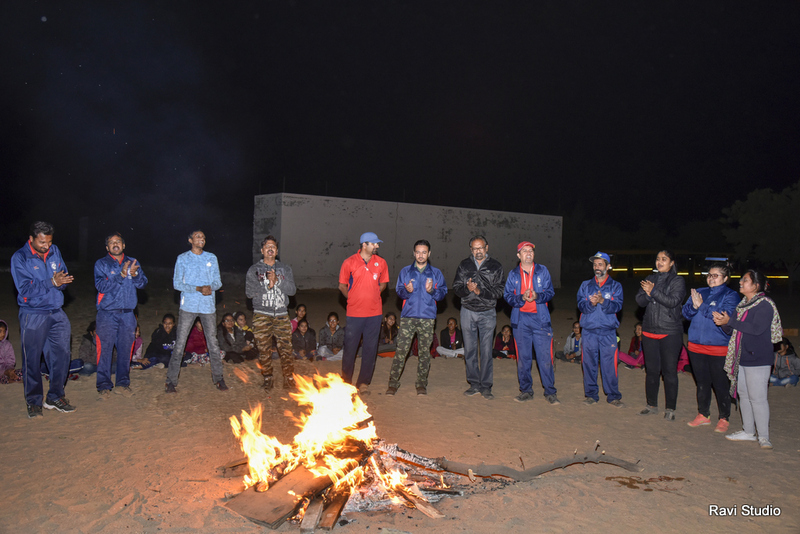 Mr. Raja Daxini – secretary NAC Club and Camp in charge inspire and motivate students throughout the camp for such adventures and sporty activities. Dr. Shilpa Shukla Bhatt Campus Coordinator appreciate Dr. Farid Khoja for arranging such event in school campus only. 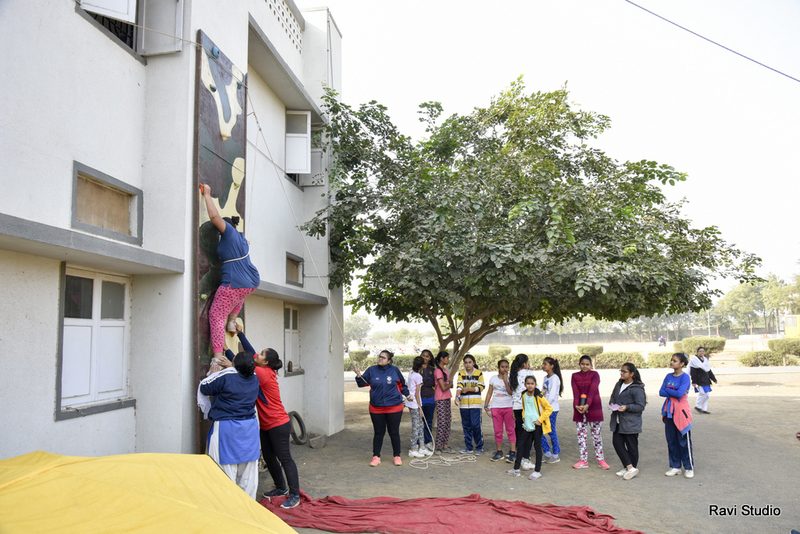 Principals of other schools Mr Surajsinh Chudasama, Mr. Chintu Gor, Mrs Monica Sharma also joined and motivate students to participate in such adventures event. Cu soon in next January 2020.